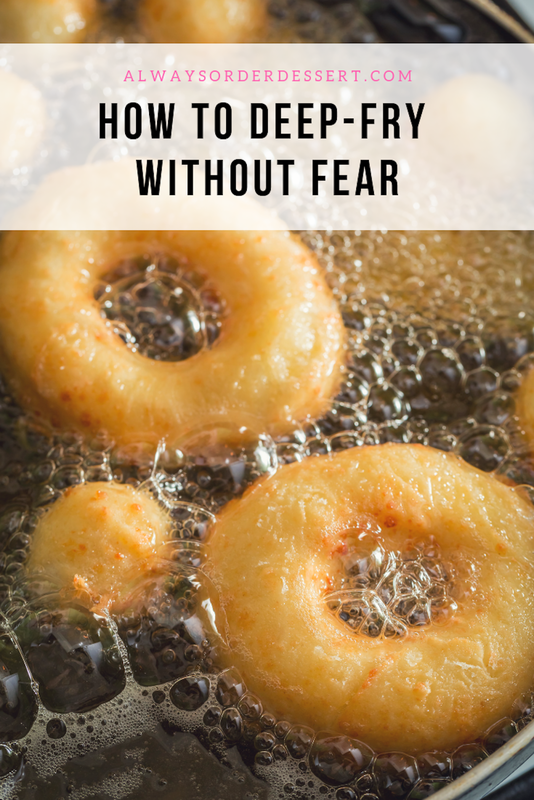 If you've ever skipped over a recipe for doughnuts, deep-fried fritters, or home made French fries due to a fear of frying, you're not alone! A lot of people find frying to be an intimidating cooking method due to the high heat and potential for splatters and other mishaps. But the truth is there is really no reason to fear frying as long as you keep a few basic rules in mind. The most important thing to keep in mind when frying is the temperature. Food should always be fried between 350 and 375 degrees F—this will allow for a golden, crispy coating, an evenly cooked inside, and no excess absorption of grease. If the temperature gets too hot, the food will burn while leaving the inside raw; if it’s too cool, the food will absorb too much oil as it cooks leaving you with a soggy, greasy dish. 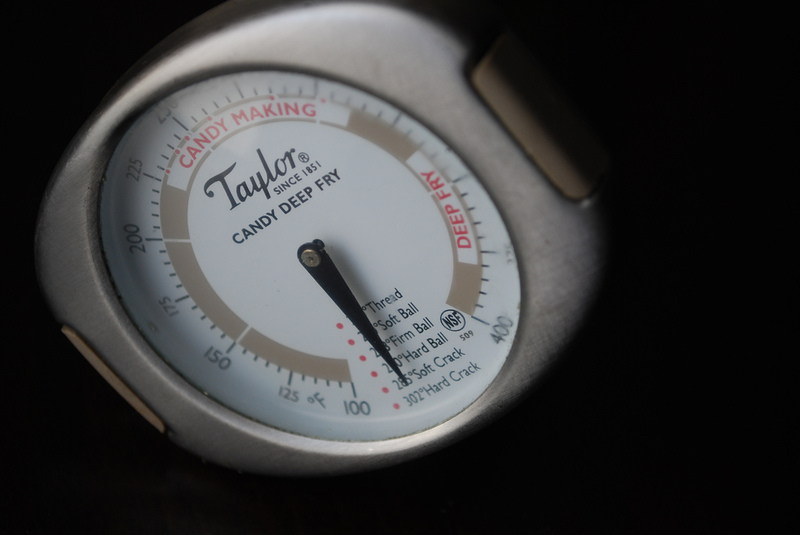 Invest in a deep fry thermometer to help you keep an eye on the oil; these are available at most kitchen and grocery stores and will only cost you about $15 to $20. Look for one with a rubber clip that attaches to the side of your pot for hands-free temperature checking. Cook food in small batches at a time, take care to not crowd the pot. This will keep the oil temperature steady and allow for even cooking. The type of oil you use is also key. To help avoid burning and strong smells, choose oils like canola or peanut oil that have a high smoke point, which means they can withstand the high temperatures needed for frying. Avoid olive oil for frying as it has a low smoke point and burns easily. Choose your pot wisely. Use a heavy-bottomed pot, such as a dutch oven, that will help retain the heat from the burners and conduct it evenly so you don’t have to continuously adjust the heat. To avoid splatters, use a deep pot, even if you only need a few inches of oil. Use a good metal or heat-resistant silicon slotted spoon to turn and remove foods from the oil. Wooden utensils retain moisture, which will make your oil splatter and spit. And NEVER use plastic utensils—they will melt. 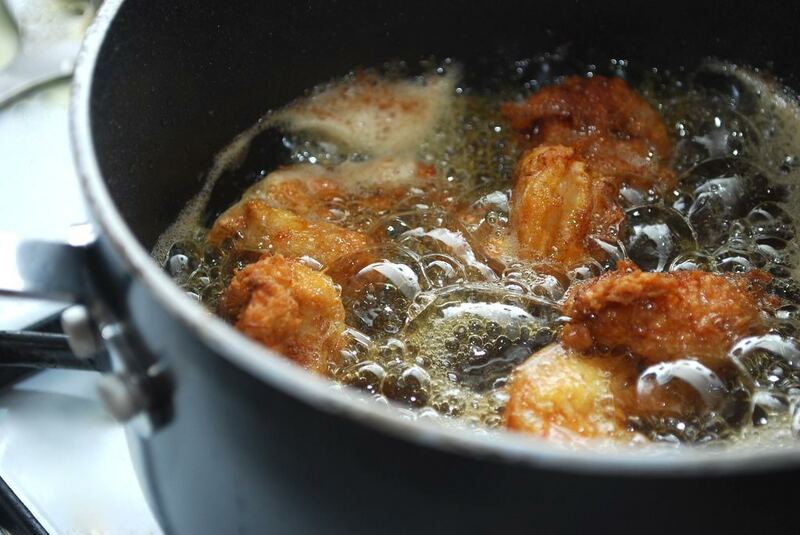 Be sure to sift out any bits of breading or food that remain in the oil after each batch so that they don’t burn. If any bits of batter or food have stuck to the utensils you are using, clean those off between batches, too. And use a damp rag to wipe off splatters on the stove or nearby area as you work. Salt food after you fry it. Salt will pull moisture to the food's surface and make it splatter when you add it to the oil. It will also lower the smoking point of the oil. Adding it to the food after it's fried will prevent this, and will help keep the final dish nice and crispy. Drain food on a paper towel-lined baking sheet. If you own one, you can also use a metal drying rack set over the lined sheet. And remember that fried food is best served within 20 or 30 minutes of frying. Finally, be sure to have everything ready before you start. 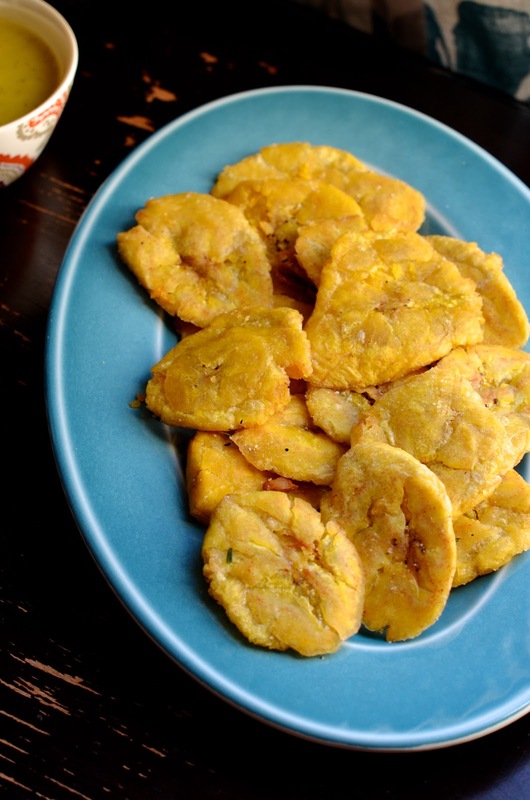 Frying is a quick method of cooking that requires you to stay at the stove; which means no time to run and get something you forgot. Prepare the food, pull out the utensils, and prepare a draining rack before you add the first piece of food to the oil—you’ll be amazed by how smoothly it all goes!